The Lancaster Fair is a NH Labor Day Weekend classic – with a colorful past. 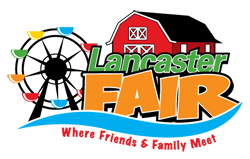 The Lancaster Fair dates back to 1870. This is a great time to visit Lancaster. In recent history, many popular entertainers have visited the Lancaster Fair including The Bellamy Brothers, Waylon Jennings, Lynn Anderson, Holly Dunn, Tammy Wynette, Hank Thompson, Tiny Tim, Charlie Daniel, Aaron Tippin, The Oak Ridge Boys, the Forrester Sisters and many others. This year Jo Dee Messina is the star performer. The Lancaster Fair continues to be a pillar in the North Country and its agricultural community. 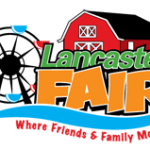 The Lancaster Fair has spanned three centuries by adapting and providing great attractions and entertainment Admission is charged. Share NH Event reviews. Copyright © 1997 - Pres. NH Living Magazine - All rights reserved.